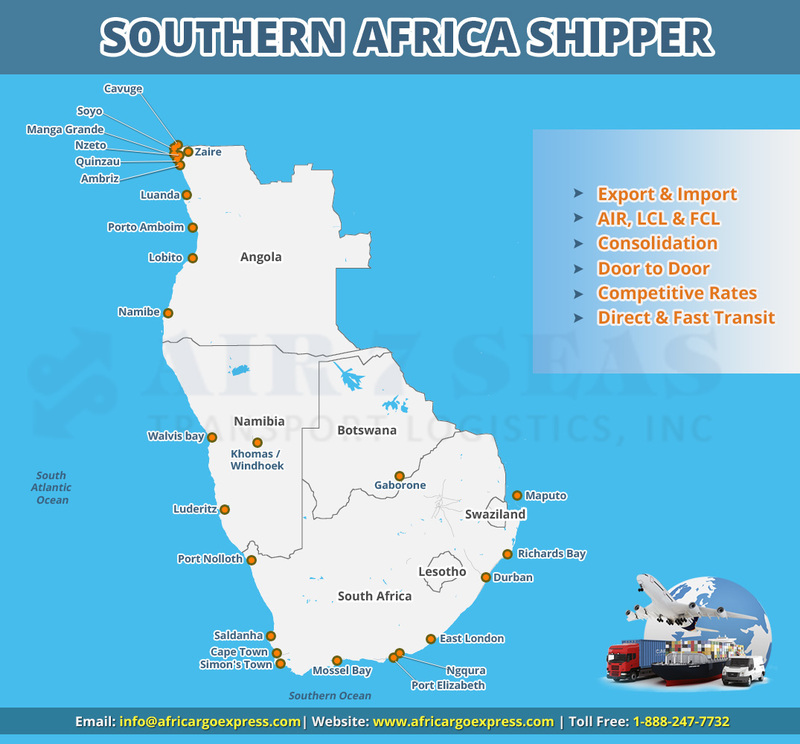 Shipping to Africa could be challenging due to its Government regulations and all the other issues in African countries, which require professional assistance for the shipping process. 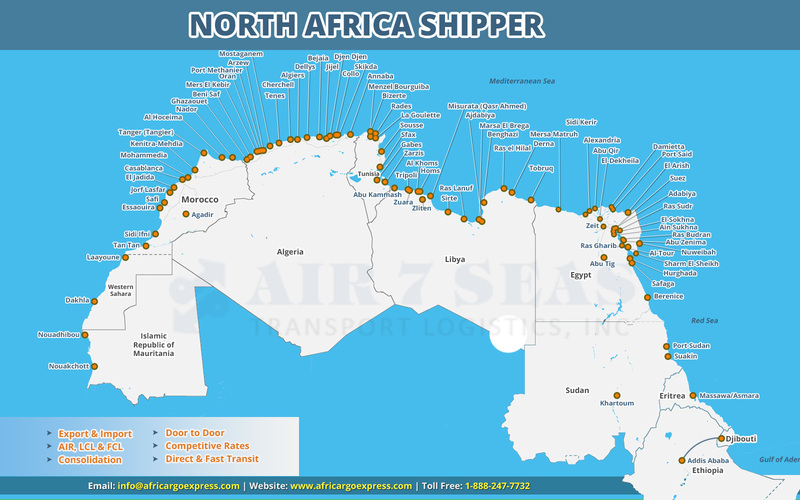 We Air7Seas are one of the experienced freight forwarders to transport goods to all African countries from US. 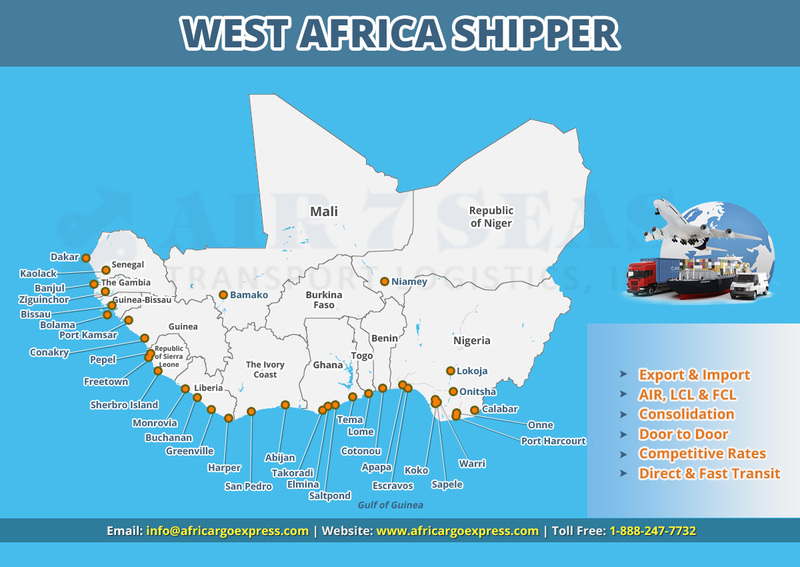 Whether the customer is shipping heavy equipments, vehicle shipping, commercial goods or household goods, our well experienced professionals will take care of the goods in each and every process of shipping. 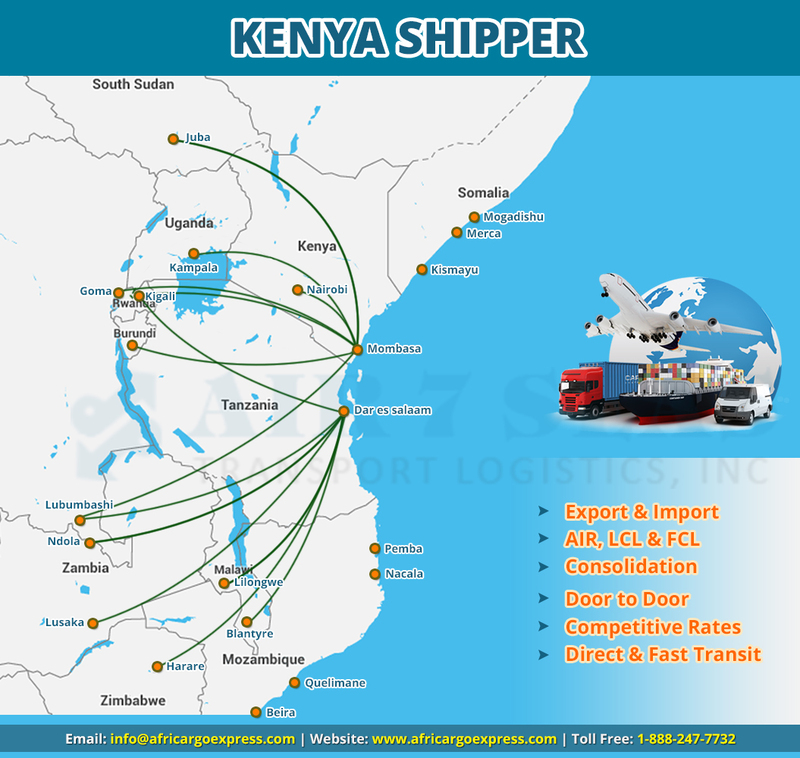 We have wide range of freight services in both Air and Ocean freight. 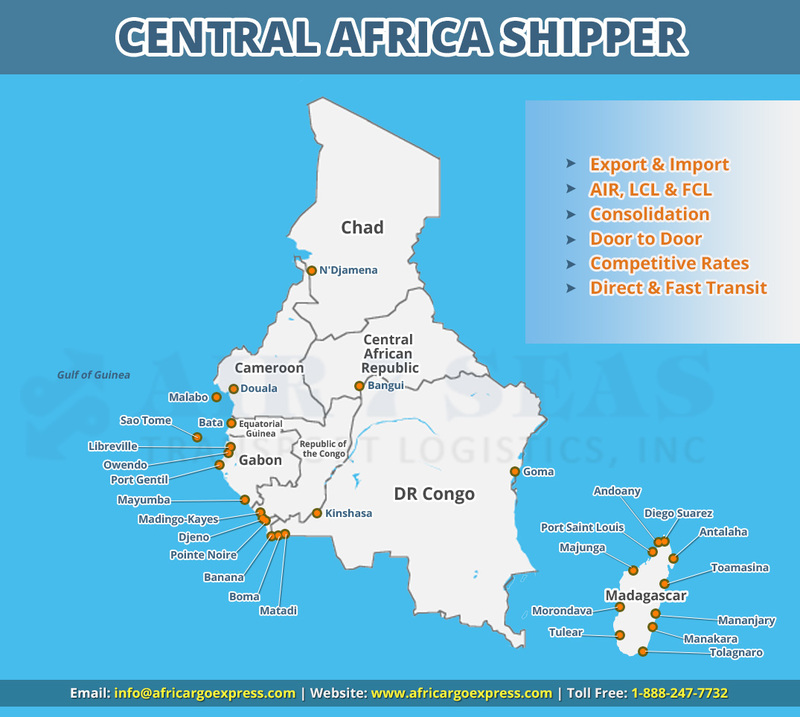 We are specialized in shipping goods to Africa from US and we can handle all our customer's requirements & needs. Our dedicated team will handle the shipment throughout the process of shipment; even they can organize packing of goods and paper work for the shipment. Customs Clearance and Documentation for the Shipment. Cargo Insurance for the Shipment. Cost effective, Reliable and Secured services. Refrigerated container controls the inside temperature of the container. This container needs to be connected with power supply throughout the shipping process to ensure the temperature at the same level. This container can mainly used for perishable goods such as flowers, fruits, vegetables etc. we have some well experienced professionals to handle refrigerated container where they can take care of the shipment throughout the shipping process.